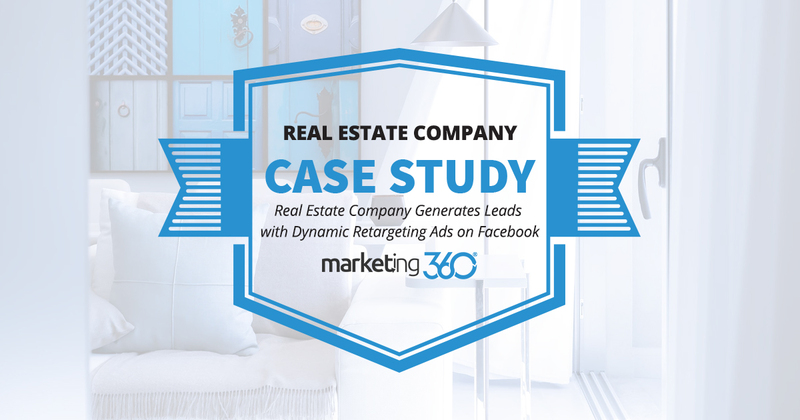 Marketing 360® uses dynamic retargeting ads to help this real estate agent win high-value leads. Here’s the breakdown. At Marketing 360®, we’ve noticed that tangible results for real estate agents are not always easy to deliver. After all, these are not eCommerce sites selling household knick-knacks. Rather, they’re selling the entire house! That’s a long sales process that can be difficult to track. However, we know that one of the most effective tactics in the long sales process is retargeting. This keeps relevant content in front of leads in the market for a home. We also surmised that dynamic retargeting ads – which display a carousel of ads that are continuously updated based on the products you’re offering – would be ideal for marketing on Facebook. First, we’ve integrated IDXBroker so that it can feed into the dynamic retargeting ad platform. That means that as ads display, they are updated with the latest properties the agent is showing. 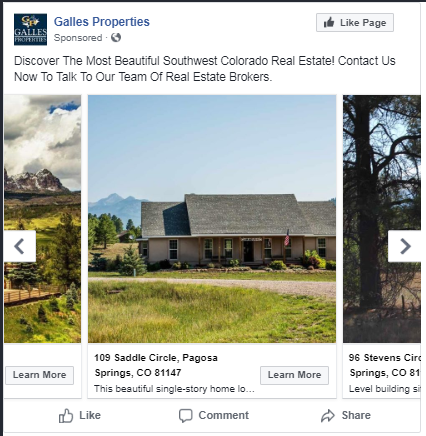 We also discovered that prior to running dynamic retargeting ads, the agency/agent Facebook business page must have at least two-thousand likes. So we also ran engagement campaigns to get the page up to that number. The conversion jump for this business was dramatic. Comparing the three month period before we started the dynamic retargeting campaign to the three months since we started, there has been a 455% increase in conversions with a 66.36% decrease in cost per conversion. We attribute this increase almost entirely to this new tactic. Not hard to make that attribution, actually, since they went from 0 retargeting leads to 143. This case study demonstrates how important it is to connect a marketing tactic to consumer needs. In this case, being able to show people who are in the market for a new home content that’s updated with new properties was the perfect fit.